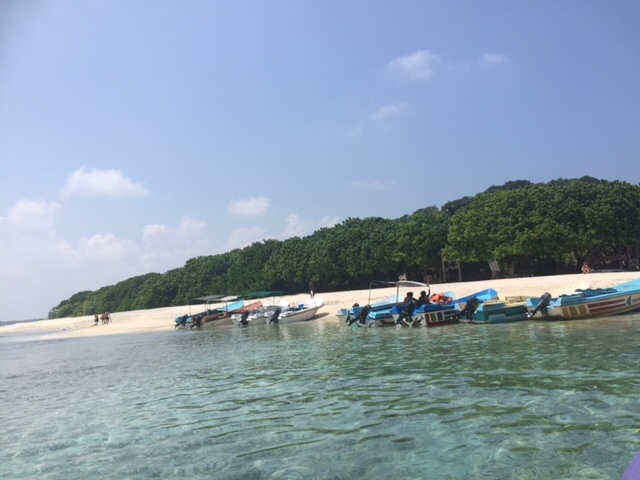 It was a short drive to the beach where we were to depart for Pigeon Island. Our small boat awaited us on the beach, the surf although not big rolled in. Before our departure the driver checked the engine to make sure it was ok, after several attempts it turned over, I am sure he was very relieved as he had a maritime officer looking over his shoulder. We were thankfully handed life jackets and asked to hop into the boat, accompanied by wildlife ranger. 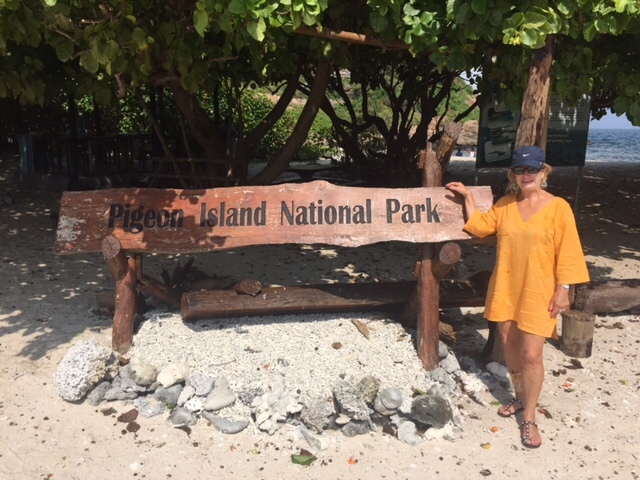 Pigeon Island is National Park for marine life such as turtles, colourful fish, reef sharks and magnificent coral. Situated 1 Klm off the coast of Sri Lanka it is easy for tourists and locals to visit, and the number of visitors each day are limited. On arrival we quickly put on our flippers and snorkel and headed to the water which was that beautiful aqua blue colour. Margy had never snorkelled before, so quick instructions from Lyn we headed to the water. The array of fish as well as coral was amazing, Margy mastered the art of snorkelling and was so mesmerised by what she saw, stayed in the water for the next 3 hours. We certainly worked up an appetite! 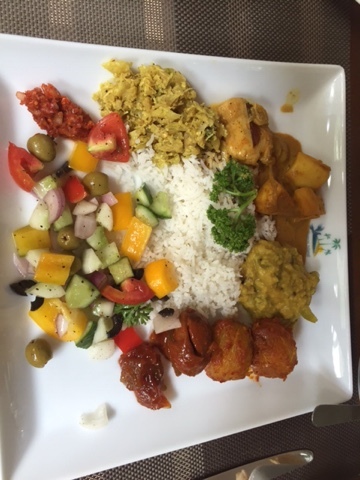 Lunch was a delicious Sri Lankan meal at the Pigeon Resort Hotel, an end to a great day.